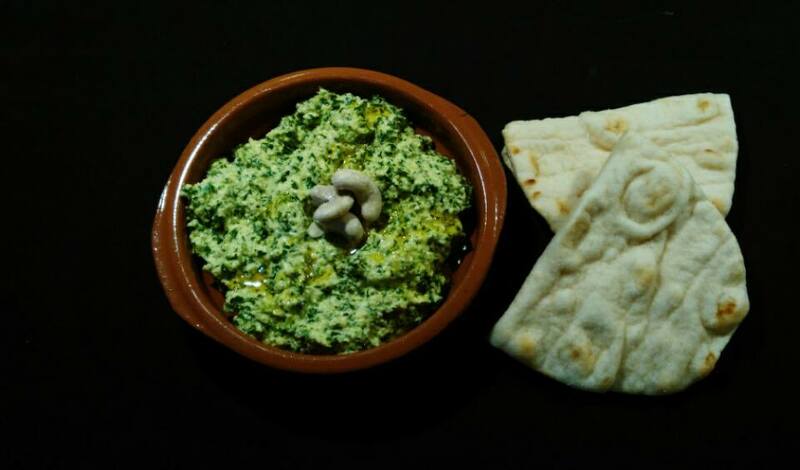 This is a pretty simple dip that can be served with crackers, pittas or flatbreads and is a meal in itself. Also pretty good for you as it contains nuts and kale. 1/2 clove of garlic chopped fine. Soak the nuts in a bowl of warm water for about an hour then drain. Pour boiling water over the kale in a bowl and leave for 2 minutes. drain then pat dry. Then add all the ingredients to a food proccesor and whizz til smooth. Stir through a bit of oil at the end and choose your bread of choice for dipping!! Previous Chicken and Chorizo bake with Red Peppers and Sweet Potato. Next Fennel and Herb Meatballs.